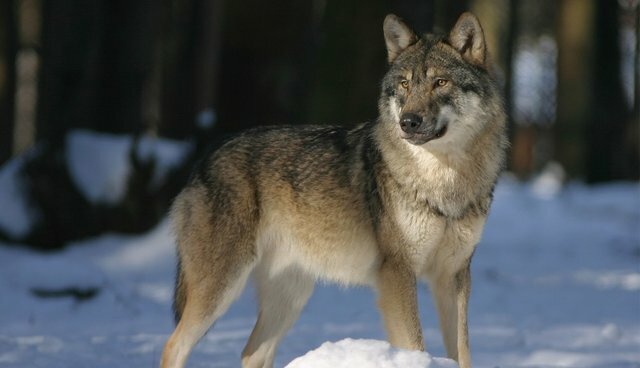 I want to tell you the story of how Yellowstone's Lamar Canyon wolf pack and its famous alpha female, 06, once battled a strong and smart bull elk. This story gives an inside look into the dance of predator and prey; I tell part of the tale from the viewpoint of the elk. This reading is accompanied-and improved-by an original piano score by composer Suzannah Doyle. The story is excerpted from In the Temple of Wolves: A Winter's Immersion in Wild Yellowstone, which I published two years ago. The book has remained an Amazon best seller and earned more than 215 Five-Star reviews. To listen to "The Kill"
To order an eBook or paperback version of In the Temple of Wolves from Amazon. To order a signed copy from Rick.